I am planning a Chili Contest Hoedown for my husband's office party. They have an annual contest and invite lots of clients. We try to tweak the theme every year. Last year's theme was the "Old West." We have a pretty limited party for an event this size, so we do not cater it. I want a dessert bar this year. So I am planning a "cookie dip" one. I don't want to bake a lot of things because I am baking the cornbread. So I started a Google search of dessert dips. There were lots and lots of ideas. So, I narrowed them down to my favorites. I am including the recipes here under Parties and Recipes. 1. Place mascarpone in a stand mixer fitted with a whisk attachment and whip on low speed until smooth, about 30 seconds. Add ricotta, sugar, espresso, and Kahlúa. Increase speed to high and beat until stiff peaks form, about 3 minutes. 2. 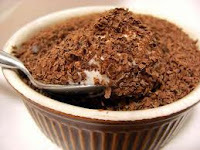 Transfer to a shallow 1-quart serving dish and dust with cocoa powder, then sprinkle chopped chocolate over cocoa. Serve with chocolate cookies. 1 tsp. cornstarch dissolved in 1 tsp water. 1. Place all ingredients in a crockpot on high four hours before the party. Turn to low when apples are soft. 2. Turn crockpot to low for the party and serve with sugar cookies. 1. Combine first three ingredients and beat with hand mixer. 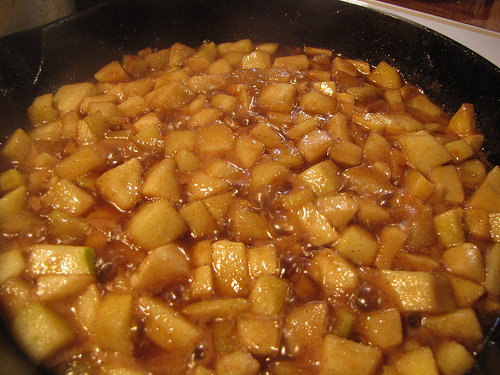 Then add remainder of ingredients. 2. 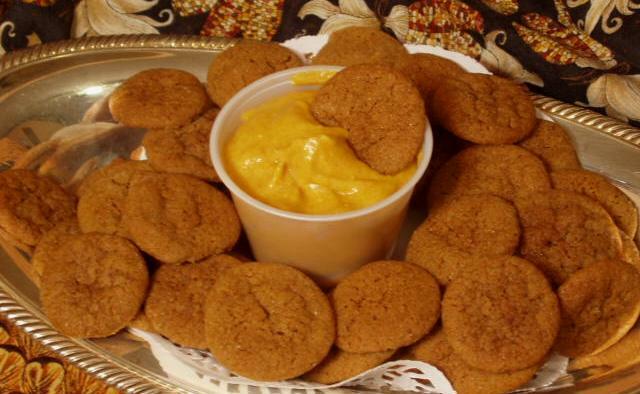 Chill in refrigerator two hours, then serve with gingersnap cookies. 1. Beat cream cheese with hand beater. Add confectionary, brown sugar, and vanilla. Add milk and pecans by hand. 1. In an electric mixing bowl, combine the sour cream, mascarpone cheese, sugar, Margarita Mix, lime zest, tequila and grand marnier. Beat until smooth. 2. Whip cream and fold into sour cream mixture. Place in serving bowl. Garnish with additional lime zest. How am I going to set up the dessert bar. Wait for the Chili Hoe Down Blog after Feb. 8 for pictures and directions. Hint: I have 12" square tin pans, wooden candlesticks, and pie pans.